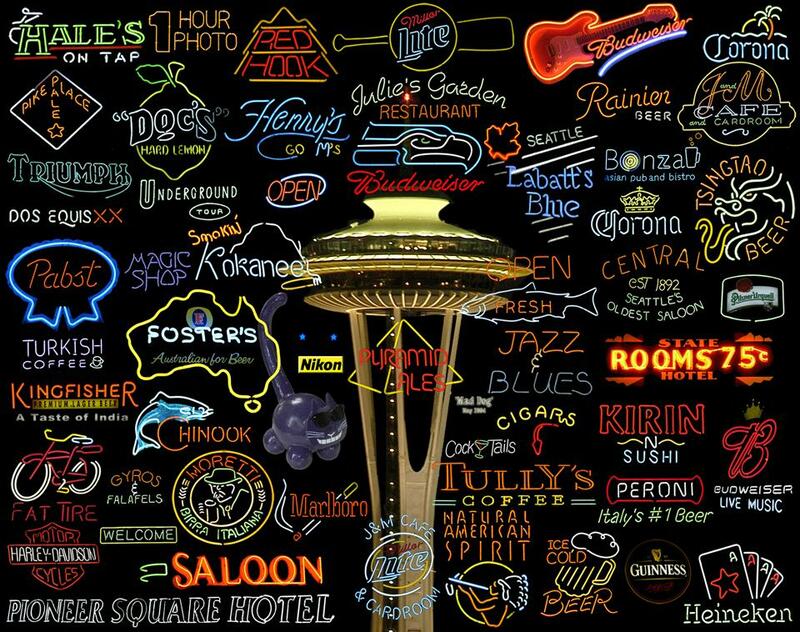 Seattle Space Needle and Signs, 2004. All signs taken in Pioneer Square, Seattle. Space Needle taken from Kerry Park, Seattle, Washington.